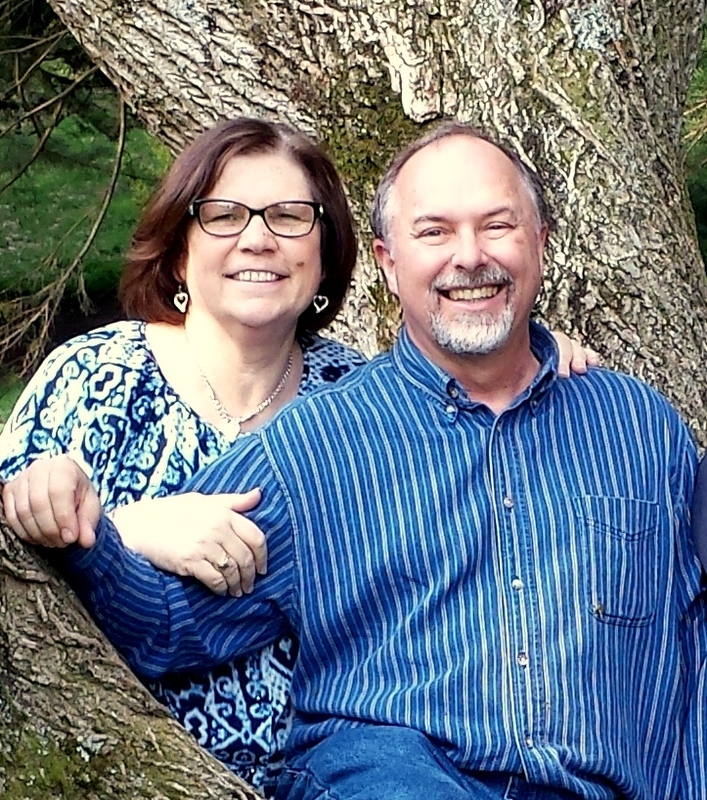 The pastor, Rick Johnston and his wife Cindy moved to Ballymena from the warm and dry state of California in 2009. They were called to serve as missionaries. They continue to minister to individuals today by seeking to help them grow in their faith in the Lord Jesus. Rick came to faith in the mid 1970’s during the ‘Jesus people’s revival’ in southern California after living a period of time ‘on the wild side.’ Whilst always active in his local church, he nevertheless worked in the aerospace industry until the clear call of God came to go to Northern Ireland. He was able to graduate Calvary Chapel Bible College then went on to School of Ministry, Calvary’s version of seminar, and was ordained in 2008. Hi! I listened to Rick and Cindy being interviewed by Bill Welsh on K Wave in the early hours of this morning (UK time), so thought I would get in touch to say how impressed I was! Although I have previously lived in England and Wales, and am currently resident on the Isle of Lewis in the Outer Hebrides of Scotland, I have for several years had an urge to pray for Northern Ireland and in recent months have felt quite led to Ballymena! I continue to seek the Lord, to test whether this might be His will, but am most eager to be able to serve Him in a meaningful way, especially at a time when there are so many souls to be won and possibly very little time before our Saviour returns! I appreciate that you are likely to receive a great deal of interest following your recent media exposure, but would be grateful for any prayerful advice you might have: without inundating you with too much detail, I have since 2006 had an earnest desire to serve the Lord and yet every avenue appears to be blocked! The main problems appear to be my lack of involvement in a local fellowship (I appreciate that this is far from ideal, but the churches here simply crushed my spirit, as a consequence of which I have been nourishing my soul with radio services from Calvary Chapel Costa Mesa and recordings of Pastor Chuck Smith, courtesy of Calvary Chapel Radio) and the financial cost of attending Bible College. I had been hoping to attend the Bible College of Wales, which recently returned to Swansea after an absence of some years, but when the Director learned that it would be necessary for me to sell my house in order to subsidise the cost he felt that he could not countenance me making such a sacrifice. It is not always easy to discern whether such impediments are barriers from the Enemy or a gentle direction from the Lord that He has other plans for my life, but I have felt the call to serve Him (not necessarily in ordained ministry) for so long now that it simply cannot be an ephemeral inclination. Having taking these considerations into account, I was wondering if you are aware of any potential avenues for me to assist the work of the Calvary Chapel movement, either in Great Britain or Northern Ireland. Clearly, there would be logistical issues on my side (lack of formal training, practicalities of re-location, etc.) and you would want to know much more about me, but for an initial contact this message is probably long enough! Please accept my very best wishes for your ongoing work and thank you ever so much for your obedience to the call to come to Northern Ireland, which is a place that, like Wales, has been on my heart and in my prayers for many years.